The Yard is situated in Skelton, an Eden Valley village in north Cumbria, 4.6 miles from junction 41 of the M6. Penrith railway station is 7.2 miles away. Also in the village are two children’s play areas and a tennis court (seasonal). A walk of a little over a mile (wellies may be needed), takes you to the Upfront Gallery and vegetarian restaurant. Several enjoyable walking and cycling routes can be started from the yard gates. Supermarket delivery to Salutation Yard is available from Tesco, ASDA and Sainsbury's. The aptly named Eden Valley is a true delight. 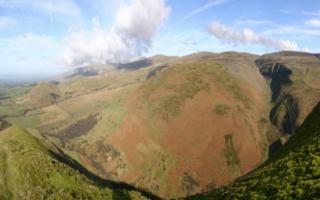 The broad valley shelters between the Lake District fells to the West and the Pennines to the East. The lush countryside, villages and small towns enjoy a quiet, often lacking in better known tourist destinations. The river Eden wiggles through, abundant with salmon and trout. 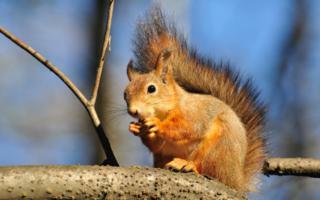 Large numbers of red squirrels choose to live in the forests and fields. There are man made wonders too: the third largest stone circle in Britain ‘Long Meg and her daughters’, is found here. Also the Settle to Carlisle railway runs through the valley. A train ride on this famous line is one way to appreciate the overall beauty of the region. The Lake District National Park is a neighbour of the Eden Valley, the shore of Lake Ullswater is just 10.5 miles from Salutation Yard and Keswick 16 miles. Close by is the North Pennines Area of Outstanding Natural Beauty. This is home to Yad Moss, England’s premier snow slope, 28 miles from Salutation Yard. 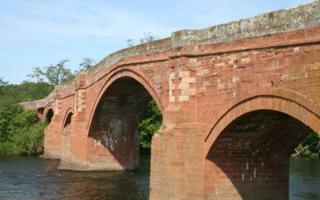 Historic Carlisle, with its shops and attractions is just 14 miles away. For more information on the area visit www.visiteden.co.uk.